Last Labor Day, I put together a little photo compilation of some fun and important people who work hard to make vacations and outings more fun. This year, I thought I'd show off some occupations Big Arrow has been able to try out because of our adventures. 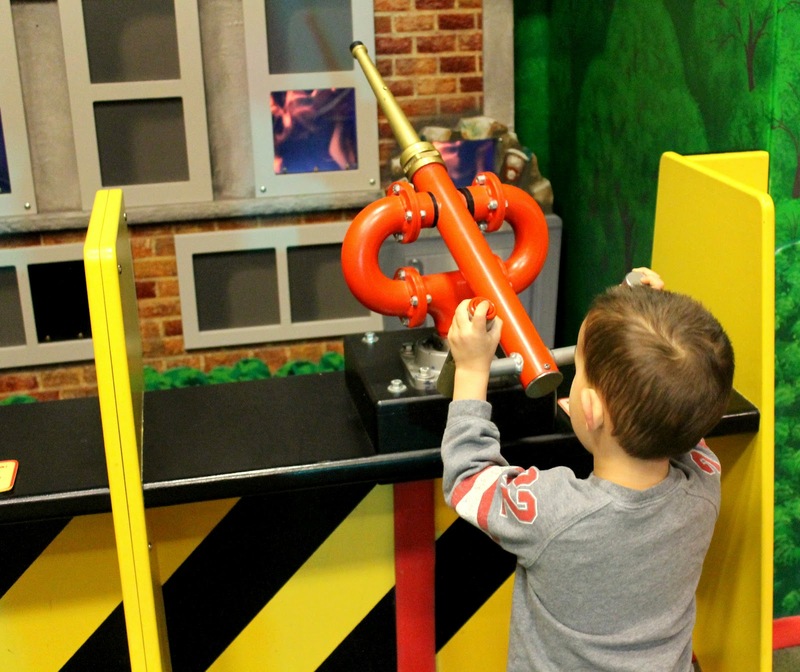 Like a firefighter (via the Chicago Children's Museum). 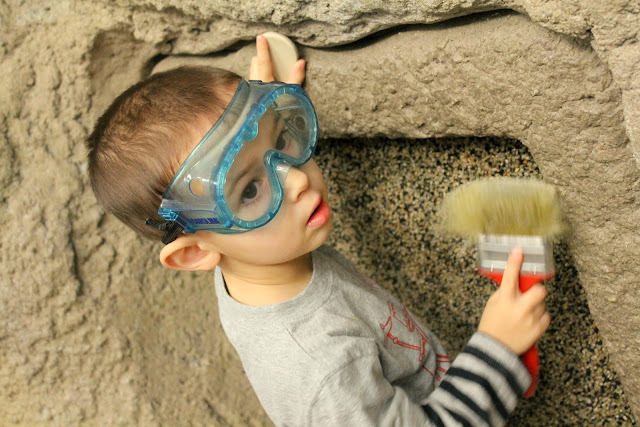 Or a paleontologist (via the Children's Museum of Indianapolis). 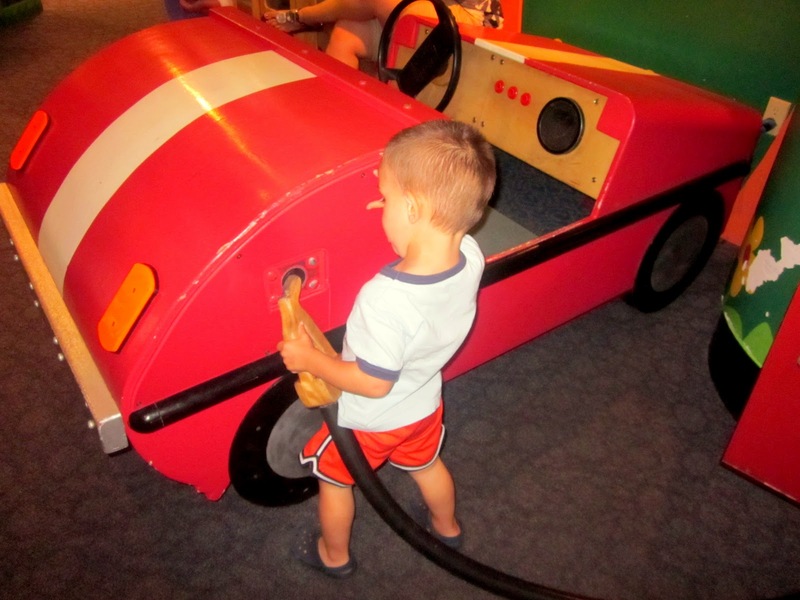 Gas station attendant (via the Boston Children's Museum). 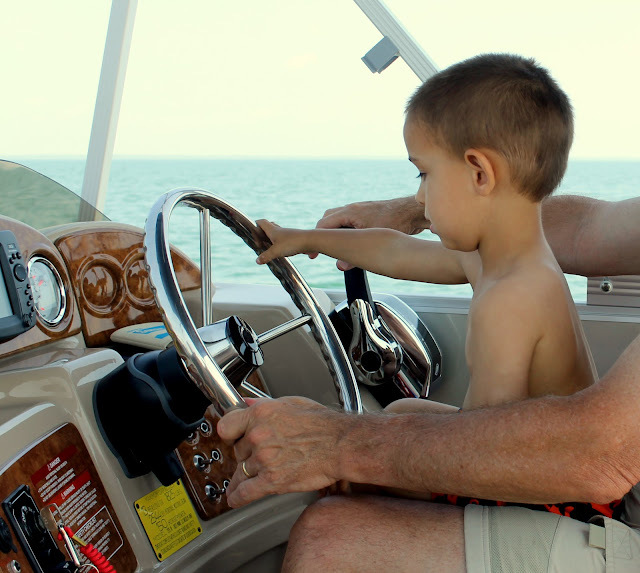 We even trusted him to be our boat captain during our week on Saginaw Bay in Pinconning, Michigan this summer. As for Little Arrow, the world got a lot bigger for him this week... he started crawling. If you're wondering why I'm not blogging much, it involves vacuuming and keeping small particles out of his mouth. Happy Labor Day! Enjoy this last blast of summer. Speaking of our trip to Pinconning, next week I'm going to write a bit about some tasty food from that area of Michigan. Check back if you love cheese! I remember your post last year!! It left an impression. Cute theme again this year. Thanks for linking up with us - good luck with following a crawler around!! Great post - I love how absorbed Big Arrow is in everything he tries! I'm amazed that you manage to get anything done with two little ones! Love the post and the pics! Hmmm...Now you've got me reconsidering my career choices. Gas station attendant looks like a lot of fun. If you're ever in Houston, the Children's Museum there has the one of the best "mini cities" I've seen where kids can explore careers. City planner, anyone? I love what Big Arrow has tried out this year. Wow, Big Arrow is getting so big! I have a similar reason for not getting around to writing posts. My youngest is cruising around and has no sense of danger! Nice to see how you're getting on, I've been very absent lately!